Toronto's super-heroes, united at last! 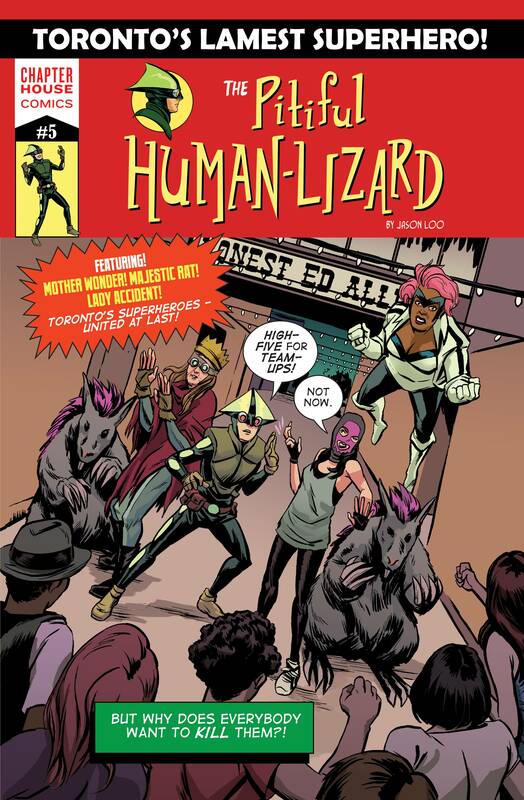 The Human-Lizard is back, along with Mother Wonder, Majestic Rat, and Lady Accident as they stop some familiar foes known as the Frustrated Four from destroying the historic bargain store Honest Ed's! Chapterhouse proudly presents the fifth of five reprinted issues of Loo Harvest's The Pitiful Human Lizard. Creator Jason Loo will continue his highly-lauded series under the Chapterhouse banner, beginning with issue #6 in February 2015.